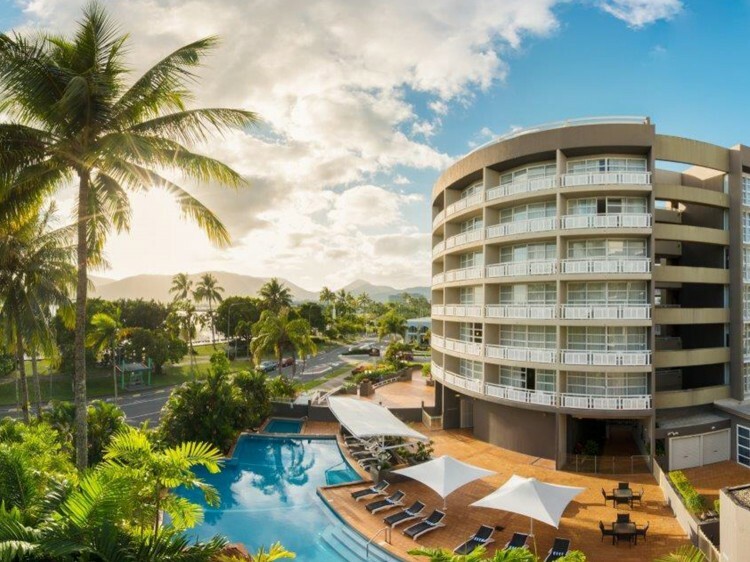 Boasting uninterrupted views of the Coral Sea, and a stunning natural setting amidst landscaped tropical gardens, the oceanfront DoubleTree by Hilton Hotel Cairns is just a short walk from the city center, and Cairn’s business, retail and entertainment districts. 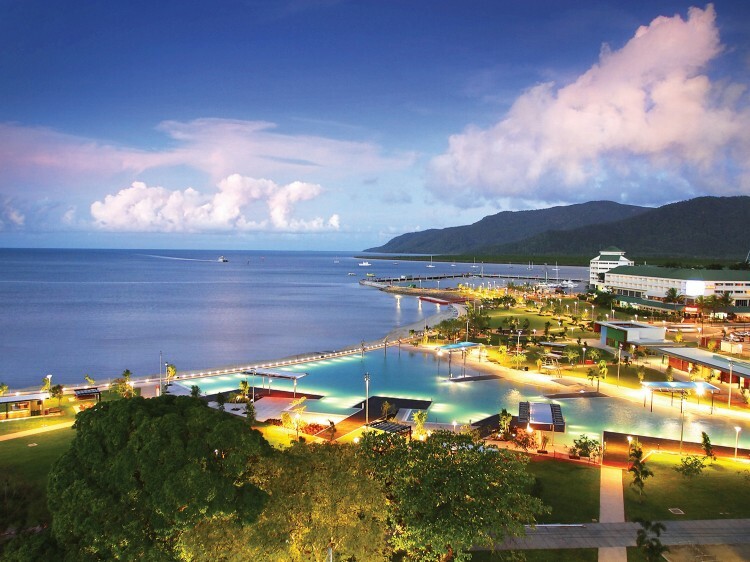 The hotel overlooks the picturesque Cairns Esplanade, and is just moments from Cairns Lagoon and Cairns Casino. Enjoy easy access to Cairns Convention Center and lots of attractions, including the World Heritage listed Daintree Tropical Rainforest and the Atherton Tablelands. The Great Barrier Reef departures terminal is 100m away, and Cairns International Airport is only 10 minutes drive from this Cairns hotel. The onsite tour desk will help you explore the wonders of this unique region. 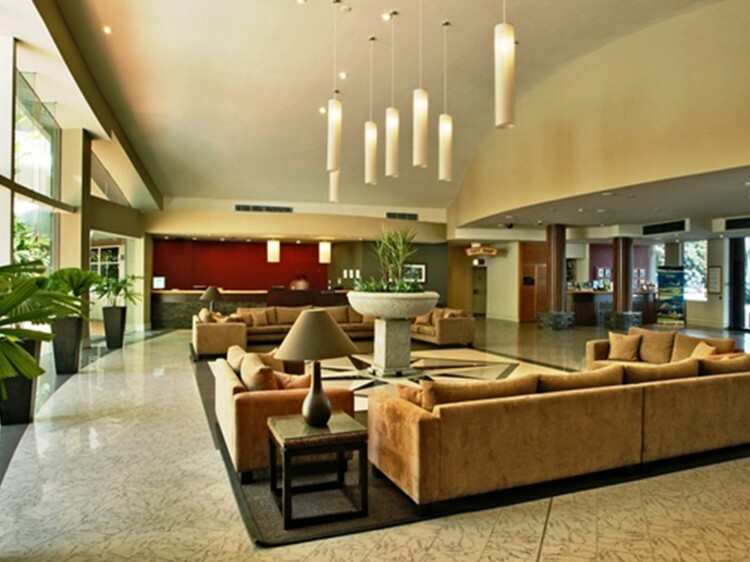 Stay connected in the 24-hour business centre, and plan a meeting or wedding for up to 160 people at this modern hotel in Cairns, with six versatile meeting spaces. The lush gardens surrounding the hotel provide the perfect setting for an outdoor celebration or beautiful wedding photos. Savour Mediterranean-inspired cuisine in The Atrium, which overlooks the hotel’s striking rainforest atrium. 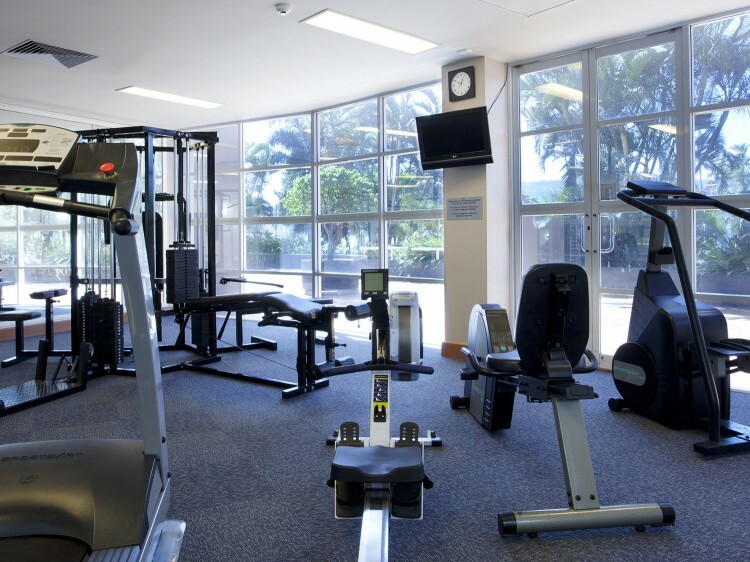 Energise in the complimentary 24-hour fitness centre and refresh in the sparkling swimming pool as you enjoy wonderful waterfront views. Stylish and comfortable, guest rooms and suites are flooded with natural light through floor-to-ceiling windows. Enjoy modern amenities, including a refrigerator, a flat-screen TV, a Sweet Dreams® by DoubleTree bed, a large desk and WiFi (fee applies). Friendly staff look forward to greeting you at check-in with a signature DoubleTree chocolate chip cookie. Undercover off street Self Parking available for $6.00 per day (prices subject to change).